A quick and easy cowl that I knitted up in one evening! I love the look of chunky turtlenecks and one shoulder asymmetrical knit pieces. 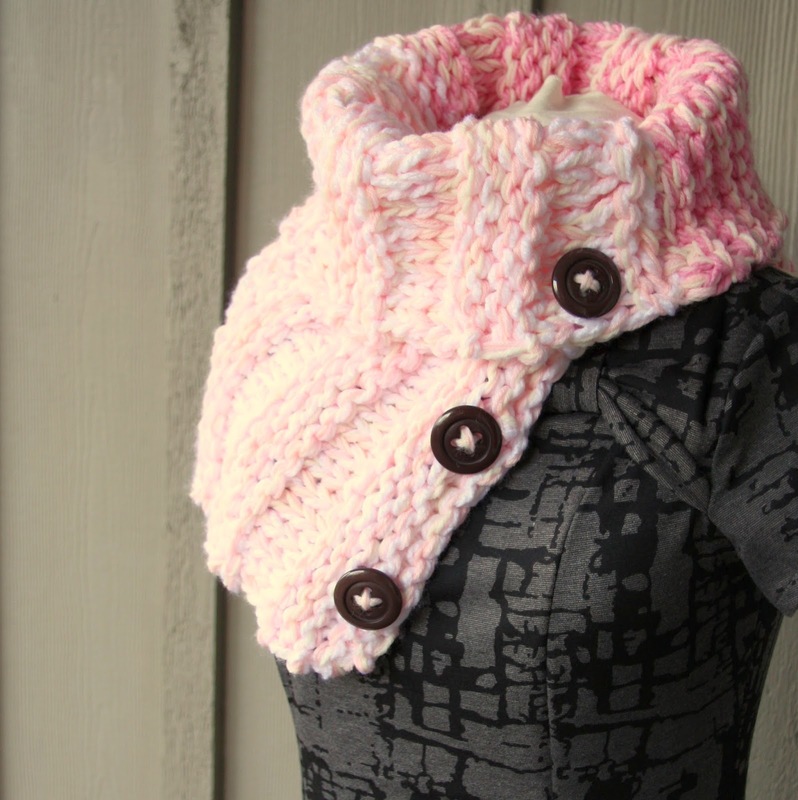 Most of the cowl knitting patterns I see out there did not have a turtleneck look so I decided to experiment with mixing the two concepts together in a very simple way. 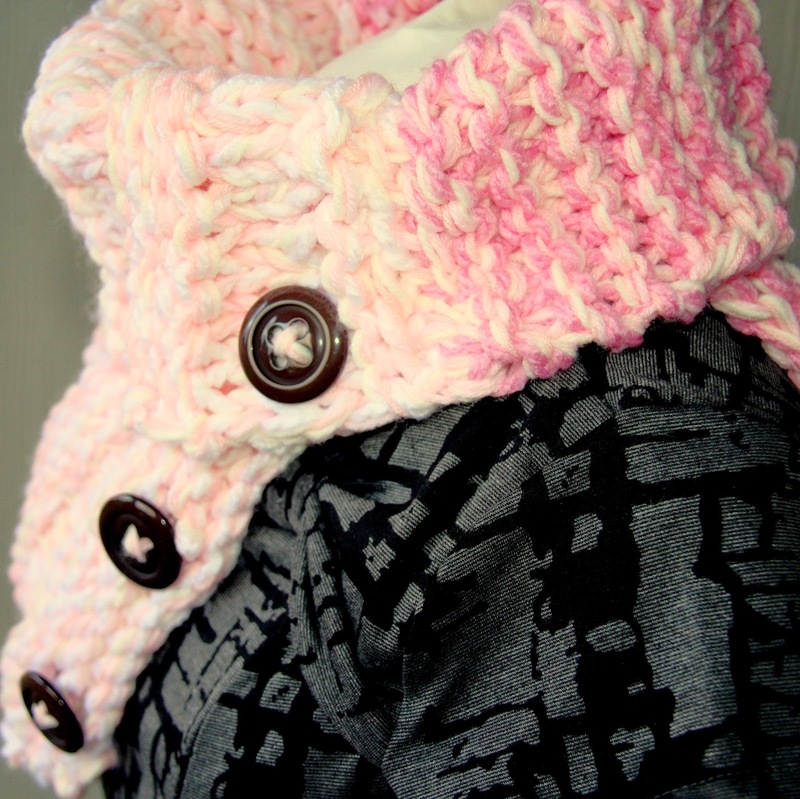 Oh, you will see that I knitted this cowl with a medium strawberry pink on one side that transitions to a light cotton candy pink. Not only does it add an unexpected ombre look to the cowl, it also helps me figure out which way faces forward when I put it on! I hope you like it.